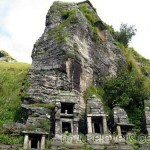 Madhyamaheshwar is located in the Garhwal range of Himalayans in Uttrakhand, India. Madhyamaheshwar is famous for the fourth temple of Panch Kedar that is Madhyamaheshwar Temple located here. Madhyamaheshwar Temple is dedicated to Lord shiva. 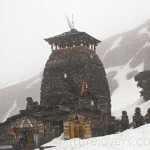 Madhyamaheshwar is located at 3,265mts above sea level. 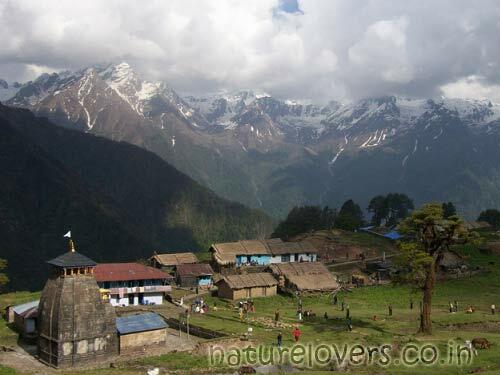 It is surrounded by the snow cladded peaks that are Chaukhamba, Neelkanth and Kedarnath. The Kedar hills also called the Kedar Massif provides a enchanting view of the mountains with many glaciers which include the source of the River Mandakini. The region is full of diverse flora and fauna like Himalayan Musk Deer and Himalayan Monal pheasant etc. The best time to visit Madhyamaheshwar is June, September and October. Madhyamaheshwar is the place where where Madhyamaheshwar temple is located and it got its from this temple only. 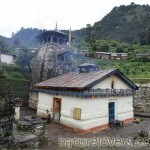 It is believed that in ancient times Pandvas built this temple here to worship Lord Shiva. As they killed their relatives and brothers(Gotra-hatya) they wanted to get pardoned by Lord Shiva but Lord Shiva didn’t want to meet them as he considered them as part of not be pardoned sin. So when Pandvas tried to find Lord Shiva on Himalaya Lord Shiva got disappeared in the form of bull and then reappeared at the five different places of Panch Kedars in the form of a hunch at Kedarnath, in the shape of hands at Tungnath, his face at Rudranath, his navel and stomach at Madhyamaheswar and his hair locks called jata at Kalpeshwar. So in Madhyamaheshwar Temple Lord Shiva’s navel and stomach are worshipped. It is about 244Kms away from Rishikesh. From Rishikesh to Uniyana village distance is 1700mts only. This is the starting point of the trek. After this Uniyana to Bantoli (1900mts) trek is there. Night stay will be at both the places Uniyana village and Bantoli in the guest houses or tents. 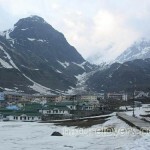 Then Bantoli to Madmaheshwar (3498 mts) trek crossing beautiful part of Kedarnath wildlife sanctuary. Some other famous places to visit nearby are Kashni Dhaar (4200m), Nandikund (4600m), Bansi Narayan dhar (4100m), Bansinarayan temple (2300m) etc. Please inform if pony are available in trekkig route. When will be best time to go madhyeshwar and tunganath?